Over 120,000 music fans are set to descend on Pairc Ui Chaoimh over the weekend as part of Ed Sheeran's nine date Irish tour which kicks off tonight. 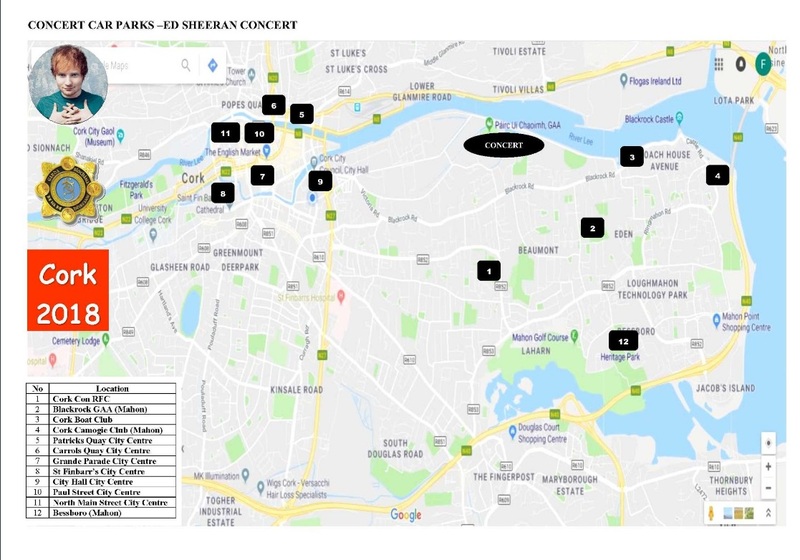 Ahead of his three Cork concerts, a traffic management plan has been put in place and music fans are being warned to plan their route in advance as parking will not be available around the newly renovated stadium. Bus Eireann will operate a shuttle bus from the station to the venue every 20 minutes between 3pm and 8pm. They will also run a shuttle service from Lapps Quay to the venue every five minutes from 3pm until 8pm. The 202 bus to Mahon will be in operation throughout each day of the concerts with additional services after the concerts to bring patrons back to the city centre. Venue gates will open at 5pm and early queueing is not allowed. The first act on stage is Irish trad group Beoga, who helped co-write Sheeran’s hit Galway Girl, at 5.45pm. Next up is singer songwriter Jamie Lawson who takes to the stage at 6.30pm followed by Anne Marie at 7.30pm. Finally the Castle on the Hill singer is expected to arrive on stage t 8.45pm with the gig expected to finish around 11pm. Under 18’s must be accompanied by an adult at all times and a free ‘Tag a kid’ safety wristband service will be in operation at the venue to provide identification wristbands to help reunite separated children with their guardians.